If you love a little vintage style, meet your next crush. 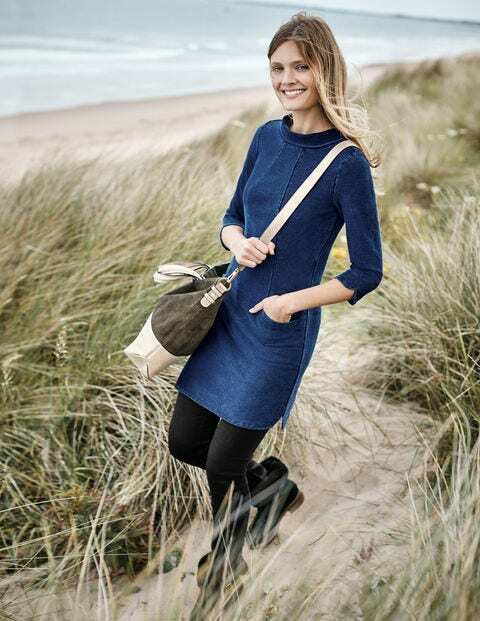 The stand collar and statement pockets give this tunic a classic feel, while the ponte ottoman fabric provides a super-flattering shape. Cleverly-placed seams and curved openings on the cuffs and hem add extra sophistication. Team with skinny jeans and pair of heels for drinks with the girls.